Sceletium tortuosum (Kanna) is a succulent plant from the stone plant family and its natural habitat is in South Africa. Kanna is known for its psychoactive and antidepressant effects. 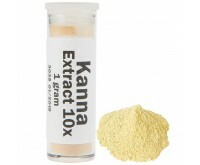 Steeping tea from Kanna extract is a popular way to enjoy the effects of Kanna. Kanna is a succulent plant that has been used by native South African tribes for relaxing and socializing. 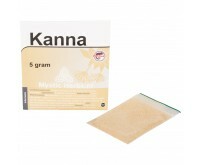 Order Kanna in powder, extract or liquid form at the Dutch-Headshop. Sceletium Tortuosum is a succulent plant first discovered by Western People when they got in contact with the Khoikhoi of South-Africa. This indigenous people had been chewing the fermented strains and roots of this plant since time immemorial, for a narcotic effect. That's why in South-Africa it is also called Channa or Kougoed. 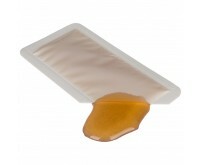 Nowadays, the dried and processed herb is often sniffed or smoked, while chewing Kanna with a bit of chewing gum or making tea from it are other popular ways to use Kanna. The most important alkaloid present is mesembrin, which gives a soothing effect and can cause a certain torpor. Mesembrin ensures your brain functions on a lower level of serotonin. 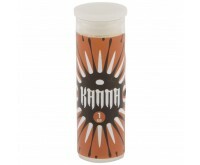 Kanna's effect is enhanced by combining it with alcohol or cannabis. Kanna is a special type of smart drug. 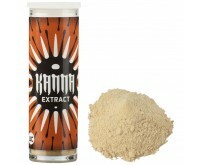 With lower doses, Kanna improves the mood; it can reduce anxiety and stress and suppresses the appetite. Interesting is that with higher doses, an increased feeling of interconnectedness is experienced. A stronger empathy and a euphoric feeling make Kanna a social smart drug. Kanna comes in many shapes and sizes. You have any idea which type suits you best? Order the Kanna Discount set when trying out Kanna for the first time. 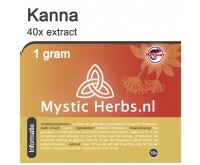 Nicely chill out and socialize with Kanna from the Dutch-Headshop.